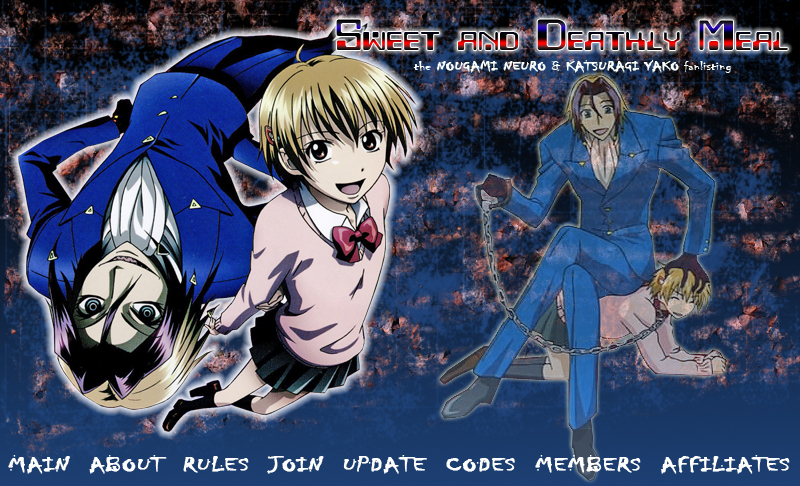 Welcome to Sweet and Deathly Meal the Nougami Neuro & Katsuragi Yako Fanlisting, approved by The Anime Fanlistings! Majin Tantei Nougami Neuro and related characters are the property of Yusei Matsui. Layout and contents are © Miriallia.